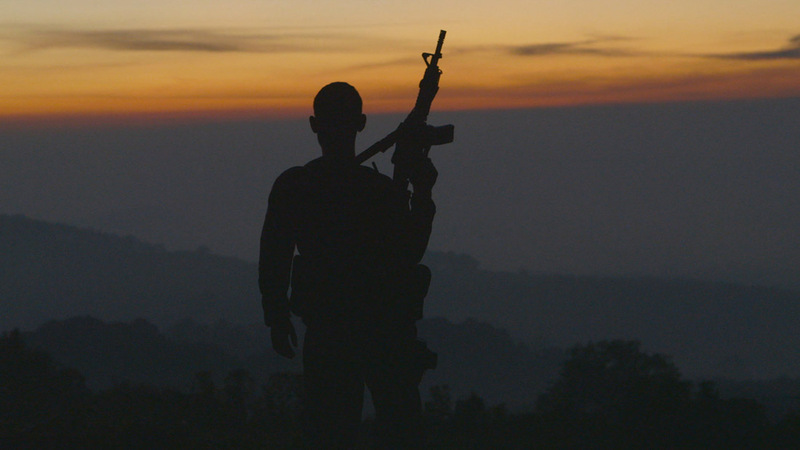 The 2015 Sundance US Documentary Competition continues with: CARTEL LAND, Matthew Heineman’s look at the response to Mexican drug cartels on both sides of the border. When your government cannot provide basic safety from murderous organized criminals, is it acceptable to take the law into your own hands to protect your family, your land, and your country? That is the question at the heart of CARTEL LAND, a powerfully visceral journey of two modern-day vigilante movements. In the Mexican state of Michoacán, Dr. Jose Mireles, a small-town physician known as “El Doctor,” shepherds a citizen uprising against the Knights Templar, the violent drug cartel that has wreaked havoc on the region for years. Meanwhile, in Arizona’s Altar Valley – a narrow, 52-mile-long desert corridor known as Cocaine Alley – Tim “Nailer” Foley, an American veteran, heads a small paramilitary group called Arizona Border Recon, whose goal is to halt Mexico’s drug wars from seeping across our border. Intrepid filmmaker Matthew Heineman (ESCAPE FIRE) embeds himself in the heart of darkness as Nailer, El Doctor, and the cartel each vie to bring their own brand of justice to a society where institutions have failed. Brilliant, dangerous, and provocative, CARTEL LAND is a chilling meditation on the breakdown of order and the borderline where life trumps law. Director/producer/editor/cinematographer Heineman returns to Park City following his last doc feature, ESCAPE FIRE (2012), which was nominated for an Emmy after its Sundance debut. Joining him as producer on this new project is Tom Yellin of The Documentary Group, a producer with decades of experience at ABC News and with Peter Jennings, whose most recent projects include GIRL RISING and OPERATION HOMECOMING: WRITING THE WARTIME EXPERIENCE. Executive producers include A&E IndieFilms’ Molly Thompson, Robert DeBitetto, and David McKillop, whose combined recent Sundance credits include fellow 2015 titles BEING EVEL, DRUNK STONED BRILLIANT DEAD: THE STORY OF THE NATIONAL LAMPOON and LILA & EVE, as well as HAPPY VALLEY (2014), UNDER AFRICAN SKIES (2012), and THE IMPOSTER (2012). The rest of the editing team are also Sundance alumni, including two-time US Documentary Editing Award-winner Matthew Hamachek (GIDEON’S ARMY (2013) and IF A TREE FALLS (2011)), Bradley Ross (ESCAPE FIRE editor/co-producer), and Pax Wassermann (THE NOTORIOUS MR BOUT (2014), WHAT REMAINS (2006), and DEVIL’S PLAYGROUND (2002). Seamlessly integrated within the ranks of his vigilante protagonists’ respective groups, Heineman is on the front lines to chronicle a war of fascinating, shifting morality and provocative developments which more than once upend the audience’s expectations, making this far more than a standard David vs Goliath story. For more information, check out the film’s Facebook page. For Heineman’s thoughts on the film, check out his Sundance Meet the Artists profile and Indiewire filmmaker interview. For screening dates and times at Sundance, click the link in the first paragraph.